Back in early February my sister Janice who lives outside of Atlanta sent us several beautiful photos of the trees and flowers in bloom just one week after she sent a photo of the snow on her street. Then another sister, Linda from Pennsylvania, commented “Excited to be seeing spring down there soon … Right now all NEPA has to offer is dirty, melting snow … and oh, yeah … POTHOLES!” So I thought I would give you a series of photos of the streets I walk each day. 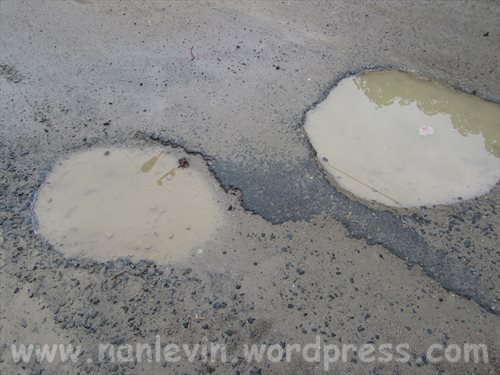 Let’s compare potholes, shall we? 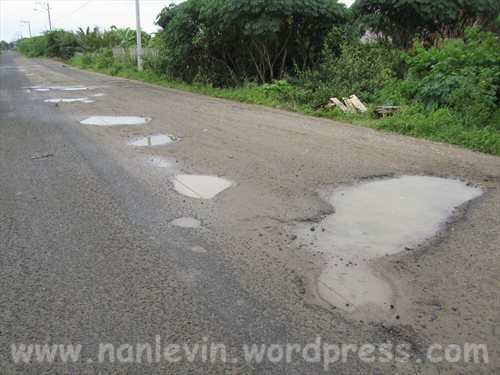 Right before carnaval the municipality sent folks out to fix the potholes but it seems they ran out of steam or material for the roads in our neighborhood. 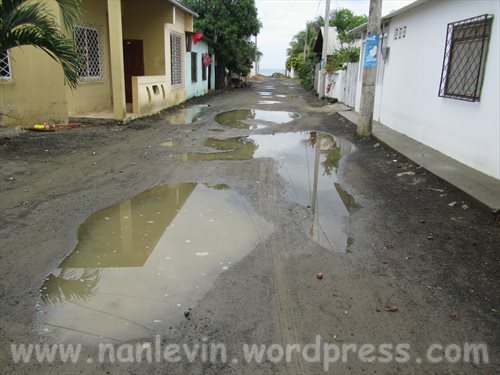 We did have rain the morning I took these photos and when these potholes fill it takes a few days for them to dry up…right now the street in front of our house is a mess…Just a few more weeks and we will be back in the dry season and the road will be easier to navigate. 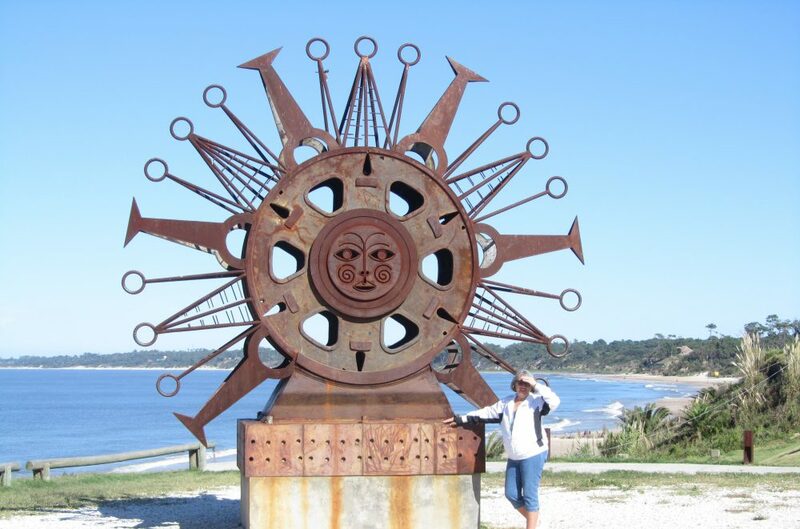 This entry was posted in Beach, Ecuador, Rain, San Clemente and tagged Ecuador, Expats, NEPA, San Clemente, South American by Nancy Levin. Bookmark the permalink. Wow, my car would not like those roads. 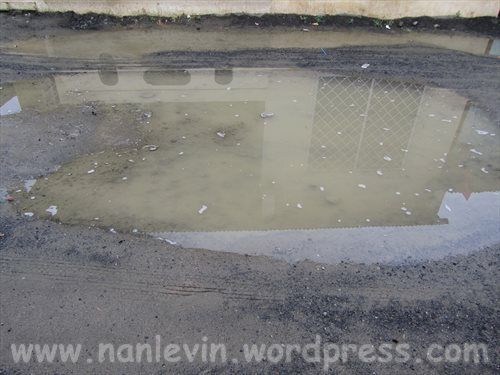 We had potholes in NY during winter but nothing like this. Now, in Tampa the roads are great and no extra car bills….. 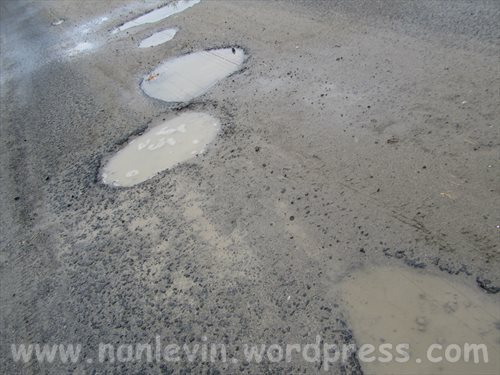 In Africa I saw teams of women and children filling in potholes by taking a big rock and putting it in the pothole and then beating it with a hammer until it was gravel size and tightly packed into the hole. They spent all day doing it so it must have been their job.